Going shoe shopping can be fun, but even if they fit perfectly in the shop, chances are your feet are not quite used to them, so there are a few ways to break in new shoes. Keep a few supplies handy and you will be kicking up your heels in no time. Walking a few feet in the store is not enough time to develop any raw spots on your heels or baby toe, so make sure they fit well at the store, take a few steps to confirm at least a good fit, and then follow these steps so that you can be wearing your new shoes quickly without pain. We spend so much money on our feet; take the time to enjoy your investment. 1. Start Slowly – Boring I Know, but Really Does Work! Shoes need to fit to you and good quality ones will snug to your shape but it can take some time. Start by wearing them around the house or some evenings at home just to get a feel for them. Take them off after a couple of hours and switch back to your old shoes. Even super expensive high quality ones can cause some trouble on your heels especially if they are new and different from what you wear right now. If you do this for a few days and gradually work your way up in time, your transition will be injury free! This does work, so don’t buy shoes for that party or work the next day. Allow some time before the event and work your way up to a full day in them. Walking around at home will help the heels and around the toes stretch a little bit to fit your shape better. Take a good look at your old shoes. You can see how they have formed to fit your feet, your new ones have to do the same. 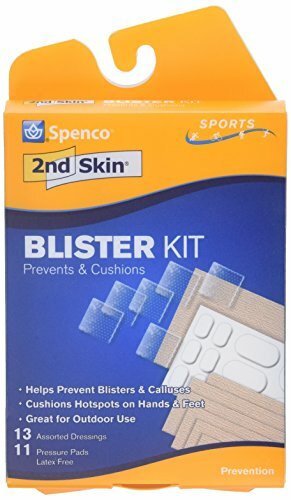 These are a really cool product that can slip into the heel of your shoe and doesn’t take up room but becomes a barrier between the hard back and your soft skin. It is the rubbing that triggers the blisters and sores and most commonly at the heels. Once the heel has softened a bit, this won’t be a problem, but in the meantime protect those heels. Take a hair dryer set on HOT, and send the heat into the shoe and then quickly put them on your feet. 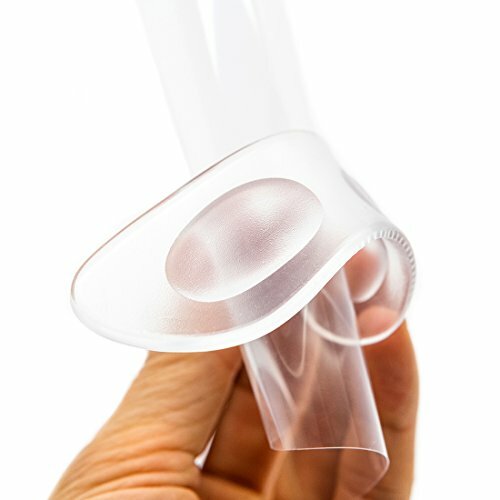 This will help to soften the material enough to form better to your foot. If you have sensitive feet, do this step even before the first step, and slowly get used to them. I found the hairdryer trick worked well on leather shoes. If you do end up with a red spot or a place you feel the wear beginning to happen such as the heels, then make sure you can cover it now before it gets to a nasty blister that can take days to heal. You need to protect that raw spot in your shoe without it moving around or making your footwear too tight.